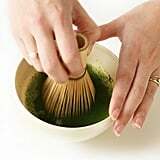 There is something wonderfully ceremonial about making tea, especially matcha, or finely ground Japanese green tea. 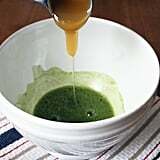 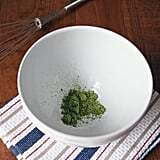 Making matcha is a little more complicated than dipping a tea bag into hot water; the emerald-green powder is quickly whisked into a frothy, thick brew. 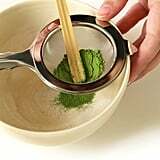 Much like whipping cream, the trick requires a little bit of practice, but we've rounded up a few methods with pictures to help you develop matcha with a beautiful layer of foam. 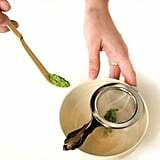 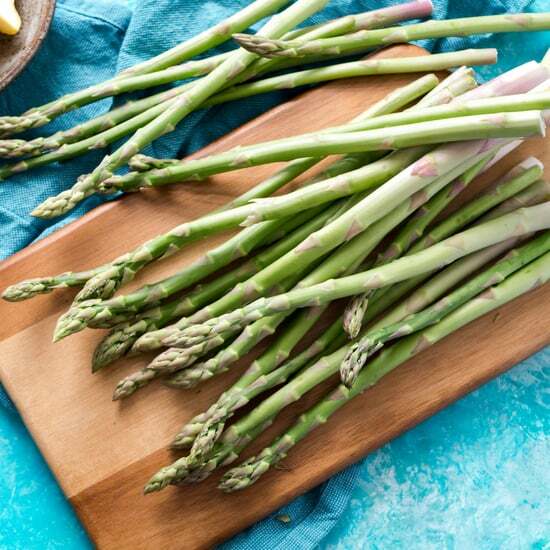 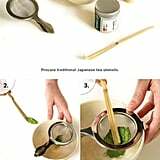 A traditional Japanese method for preparing matcha calls for a bamboo whisk with superfine tines; however, home cooks can also hack the process using a mini immersion blender or whisk. 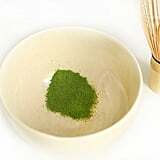 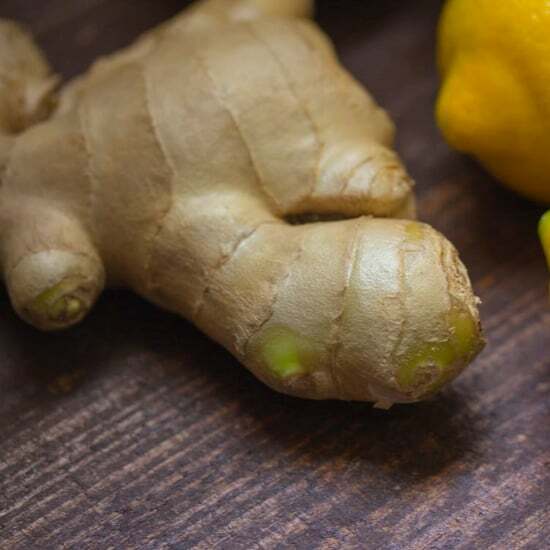 And while the Japanese take their matcha "green," some drinkers may find the unadulterated mixture too bitter and grassy for their liking. 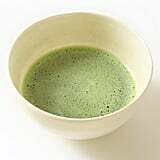 That's why we've included a quick latte recipe for easy matcha drinking. 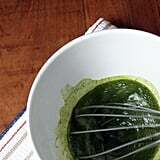 Take a look at three ways to make matcha.